I can’t begin to tell you how much I adore this Zara dress. 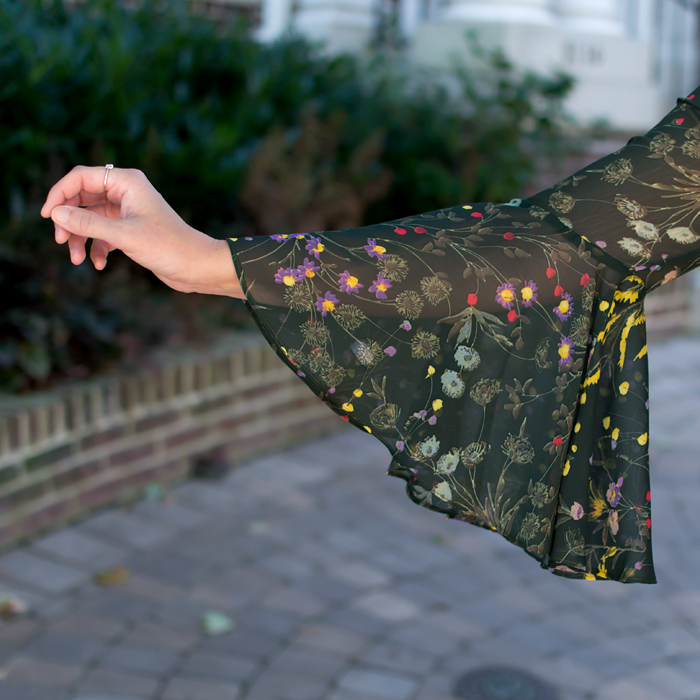 I love the flirty length, the bell sleeves, and the muted color palette that makes it perfect for warm fall days. I bought it when we were in Georgetown a few weeks ago and wore it the very next day (a sure sign of a great purchase). Now that I’m home with full access to my jewelry collection, I’ve been pairing it with a long pendant similar to this.